This Fermilab press release was published on February 24. The two collaborations jointly announced on Friday, Feb. 21, that they had observed one of the rarest methods of producing the elementary particle – creating a single top quark through the weak nuclear force, in what is called the s-channel. 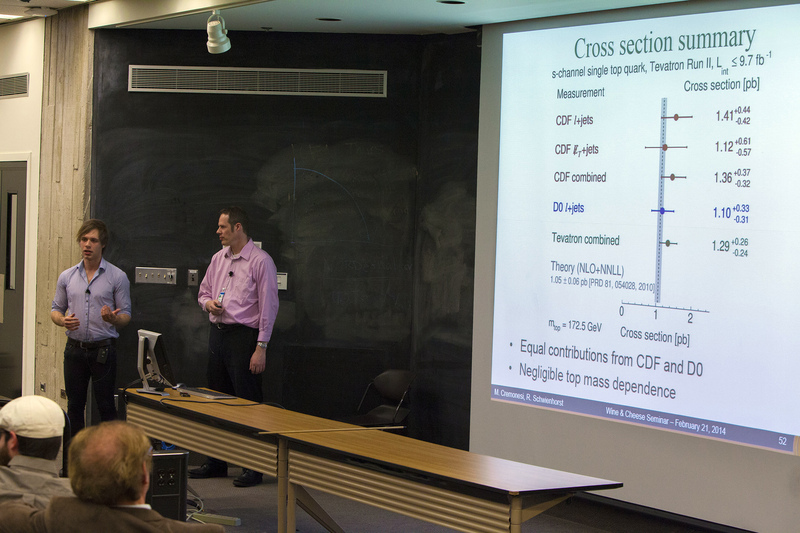 For this analysis, scientists from the CDF and DZero collaborations sifted through data from more than 500 trillion proton-antiproton collisions produced by the Tevatron from 2001 to 2011. They identified about 40 particle collisions in which the weak nuclear force produced single top quarks in conjunction with single bottom quarks. Fermilab is America’s national laboratory for particle physics research. A U.S. Department of Energy Office of Science laboratory, Fermilab is located near Chicago, Illinois, and operated under contract by the Fermi Research Alliance, LLC. 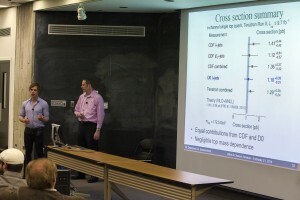 Visit Fermilab’s website at www.fnal.gov and follow us on Twitter at @FermilabToday.